Are you looking for Home Automation Systems? Have you ever wished you had a little magic box that controls everything in your home? Whole Home Automation from K+ Integration brings whole home control to life, making it personal for real people and real homes — every day. 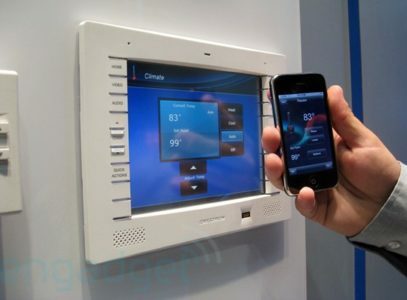 Why are Home Automation Systems the answer? Whole Home Automation Systems bring together a family of innovative products that work together flawlessly to deliver convenience, comfort and security. Designed for everyday living, you can easily control your entertainment, lighting, climate and more. Consolidate all your electronics into one easy-to-navigate menu — and enjoy simple control from anywhere around the house or around the globe. Whole Home Control puts it all in your hands. As an Authorized Crestron Dealer, The K+ team can design and integrate a custom phone system that meets your needs. We take the most complex configurations and make them simple. Putting the controls at your fingertips. We can even tie it into your audio video system to put your music on hold, or to alert you to a call coming through the speakers. Or how about the ability to share a video call with loved ones in your home theater? Envision the whole family on the couch sharing a video call with the grandparents. The K+ team can help you harness today’s technology to enhance your lifestyle - things like that. Need Home Automation? We Know How, And Are Here To Help!